Simon Sinek explores how leaders can inspire action and change, starting with a golden circle and the question “Why?” He is the author of three bestselling books. 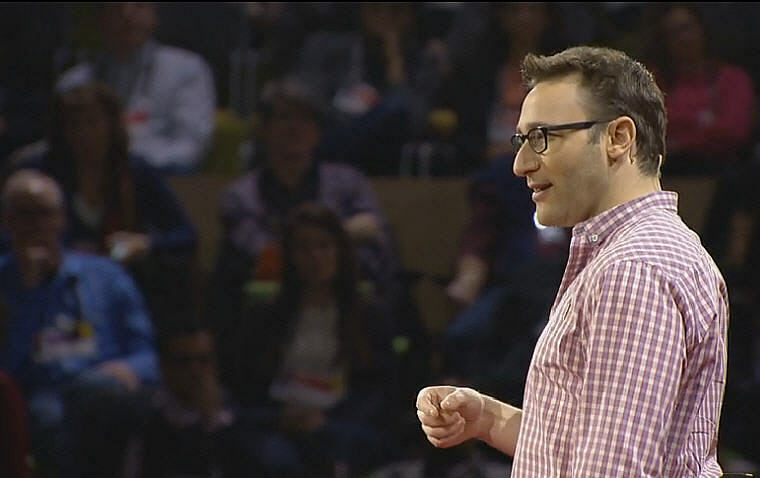 Simon Sinek’s talk “How great leaders inspire action” is one of the most popular TED talk of all time. Here are the top Simon Sinek Quotes that will inspire you. 1. Dream big. Start small. But most of all, start. 2. People don’t buy what you do; they buy why you do it, and what you do simply serves as the proof of what you believe. 3. There are only two ways to influence human behavior: you can manipulate it or you can inspire it. 4. For values or guiding principles to be truly effective they have to be verbs. It’s not “integrity,” it’s “always do the right thing.” It’s not “innovation,” it’s “look at the problem from a different angle.” Articulating our values as verbs gives us a clear idea … we have a clear idea of how to act in any situation. 5. Leading is not the same as being the leader. Being the leader means you hold the highest rank, either by earning it, good fortune or navigating internal politics. Leading, however, means that others willingly follow you—not because they have to, not because they are paid to, but because they want to. 6. The role of a leader is not to come up with all the great ideas. The role of a leader is to create an environment in which great ideas can happen. 7. Regardless of WHAT we do in our lives, our WHY—our driving purpose, cause or belief—never changes. 9. Self confidence is the ability to exercise restraint in the face of disrespect and still show respect in response. 10. Working hard for something we don’t care about it is called stress. Working hard for something we love is called passion. 11. Life is beautiful not because of the things we see or do, it is beautiful because of the people we meet. 12. It’s better to disappoint with the truth than please with a lie. 13. When we help ourselves, we find moments of happiness. When we help others, we find lasting fulfillment. 14. The goal is not to be perfect by the end. The goal is to be better today. 15. The primary ingredient for progress is optimism. That unwavering belief that something can be better, drives the human race forward. 16. Always plan for the fact that no plan ever goes according to plan. 17. Leadership is not a journey to rise in the ranks. Leadership is a journey to help those around us rise. 18. Fight against something and we focus on the thing we hate. Fight for something and we focus on the thing we love. 19. There’s an entire section in the bookshop called self-help. What we need is a section called help others. 20. The only way to find out if it will work is simple – do it. 21. Greatness is not born from one success. Greatness is born from persevering through the countless failed attempts that preceded. 22. We have to dream. How else will we make a future that does not yet exist? 23. Safe is good for sidewalks and swimming pools but life requires risk if we are to get anywhere. 24. Dr. King gave the “I have a dream” speech, not the “I have a plan” speech. Lets inspire people with our dreams, not bore them with our plans. 25. A team is not a group of people that work together. A team is a group of people that trust each other. 26. The mind can be convinced but the heart must be won. 27. If we want to achieve anything in this world, we have to get used to the idea that not everyone will like us. 28. Hearing is listening to what is said. Listening is hearing what isn’t said. 29. Don’t give to get. Give to inspire others to give. 30. Good friends make us better people. They cheer us on when we hit bottom and keep us humble when we reach the top. 31. What good is an good idea if it remains an idea? Try. Experiment. Iterate. Fail. Try again. Change the world. 32. If we be good we will do great. If we do good we will be great. 33. Train your mind to perform under pressure — shift your narrative. 34. Sometimes it takes something bad for something good to happen. 35. The difference between dog people and cat people: dog people wish their dogs were people. Cat people wish they were cats. 36. When we are closed to ideas what we hear is criticism. When we are open to ideas what we get is advice. 37. I’d rather feel uncomfortable pushing for better than feel uncomfortable settling for less. 38. We work hard, play hard” sounds terribly unhealthy. I think we would all be a lot healthier, happier and find greater balance in our lives if we learn to work smart and play always.